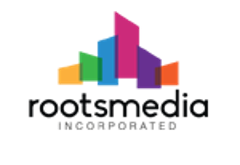 Roots Media Inc. is a full-service non-traditional media and experiential marketing company built on the principals of innovation, positive consumer engagement and lifestyle integration that drives consumer behavior. We identify, create and maintain place-based media networks and consumer engagement opportunities that bring brands to life in the heart of the community. These innovative marketing tactics produce memorable brand engagements in ways that resonate beyond the point-of-purchase. The Goal of Roots Media Inc.
To deliver targeted, measurable and consistent marketing opportunities and strategies allowing brands to reach their specific target geo-demographics within any DMA across the country, delivering maximum ROI and marketing performance.